This low cost unit retails at less than half the price of comparable instruments. It is a compact, robust, single range RF power measuring instrumen,t switchable between two separate frequencies. In the US, the selectable frequencies are 2.45 GHz and 915 MHz When used in the EU the frequencies are 2.45 and 868 MHz. This instrument is designed specifically for the field service engineer, during the repair and maintenance of domestic / commercial microwave heating equipment. It allows the detection of potentially harmful microwave energy leakage from these heating sources. 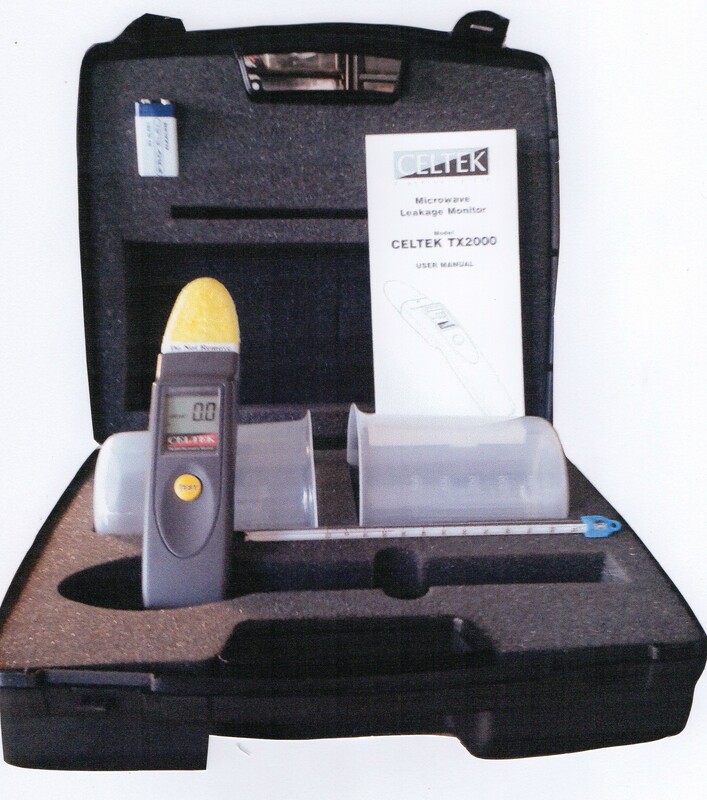 A rigid carry-case with foam inserts to hold the instrument and traceable calibration certificate, plus a sample RF label set, user guide, battery and power check kit (comprises 2 x 500ml beakers and thermometer). As with all instruments of this type, the readings produced depend upon the quality of manufacture and the accuracy of calibration prior to release for sale. It has been, and remains, the policy of Celtek, that all instruments are calibrated and provided with a calibration certificate, fully traceable to UK National Standards.